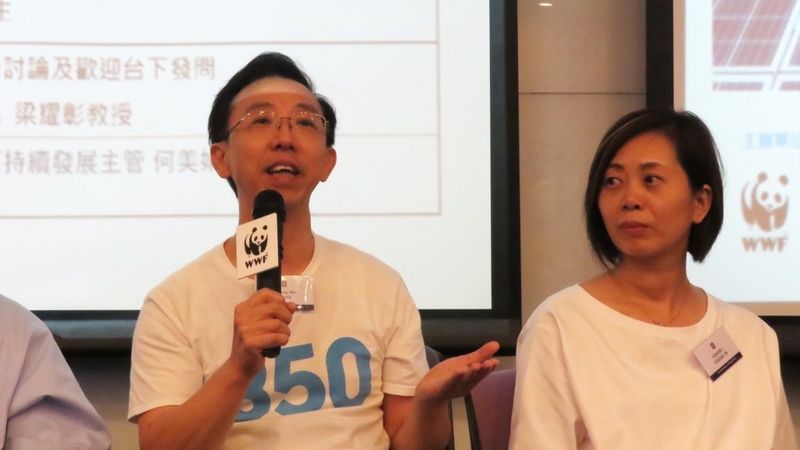 The Hong Kong SAR Government has recently announced a new feed-in tariff scheme under which solar and wind power energy would be purchased from the public. But how can the public participate effectively so as to benefit from this new policy? How can our city step up its actions to tackle climate change, so that real changes can be achieved to improve the environment? 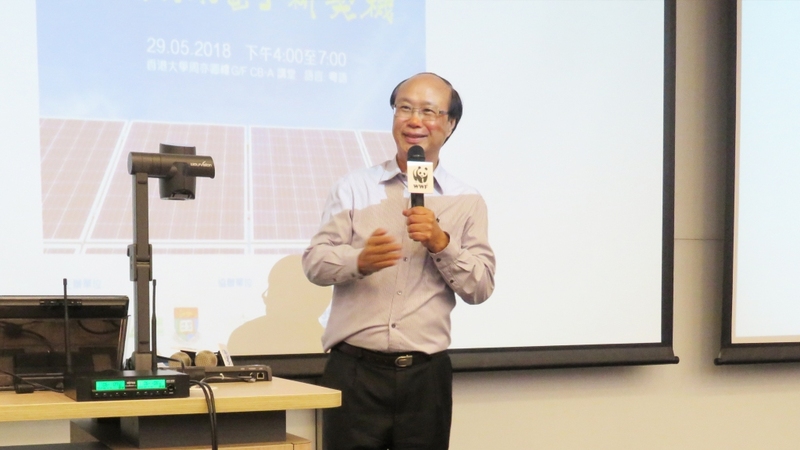 Carbon Care Asia, WWF-Hong Kong and the Faculty of Engineering, HKU jointly organised a public forum entitled “Feed-in Tariff – New Opportunity for Green Energy for All” on May 29, 2018. Full house attendance was recorded for this forum held in HKU, with over 150 participants coming from various sectors. 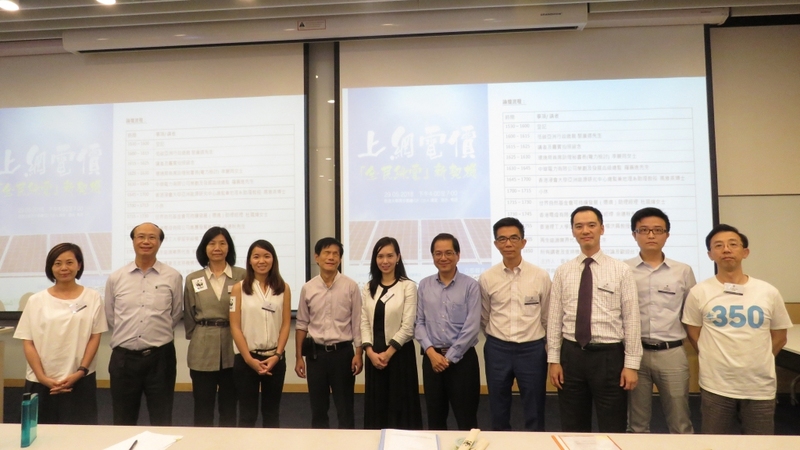 The forum aimed to bring together academic experts, government officials and sectoral representatives to discuss from a comprehensive perspective the integration of policies relating to the new feed-in tariff scheme. References were also drawn from overseas, including the experience of Taiwan and Seoul. When the forum began, Ir Albert Lai, CEO of CCA, gave an introductory talk to set the scene for upcoming presentations. Guest speakers invited to the forum included Ms Queenie Lee, Principal Assistant Secretary for the Environment (Electricity Reviews); Mr Joseph Law, Planning and Development Director of CLP; Dr Daphne Mah, Director of Asian Energy Studies Centre & Assistant Professor at the Department of Geography, Hong Kong Baptist University; Ms Olivia To, Assistant Manager for Sustainable Development (Environment), WWF-HK; Mr Yee Tak Chow, General Manager (Corporate Development), Hong Kong Electric; Prof Hong-xing Yang, Building Services Engineering, Hong Kong Polytechnic University; and Mr Kwok Wai Kin, a representative of the renewable energy industry sector. 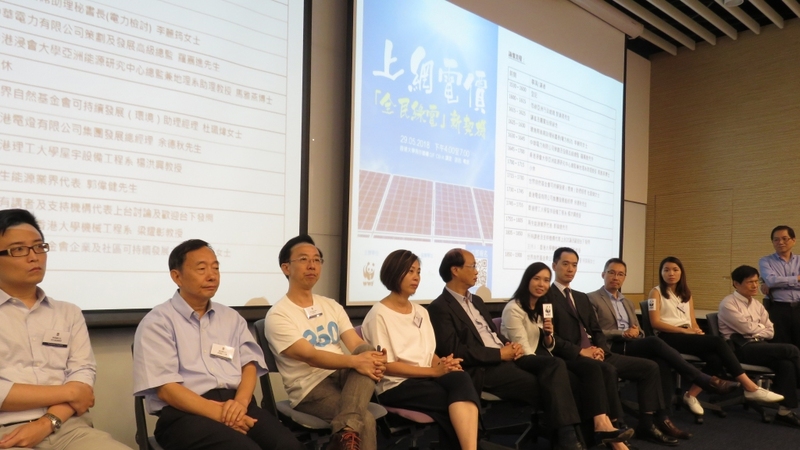 The panel discussion, moderated by Prof Dennis Leung from the Department of Mechanical Engineering, HKU, was joined by all speakers and representatives of supporting organisations including Mr Ringo Mak, co-founder of 350HK and Mr Chong Chan Yau, co-founder of CarbonCare InnoLab. 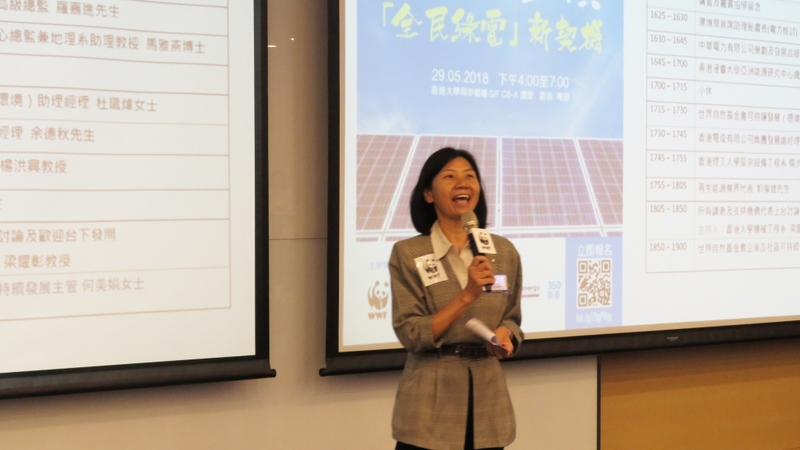 Ms Karen Ho, Head of Corporate & Community Sustainability, WWF-HK, gave the closing remark. Ir Albert Lai, CEO of CCA, gave an introductory talk to set the scene for the Feed-in Tariff public forum. 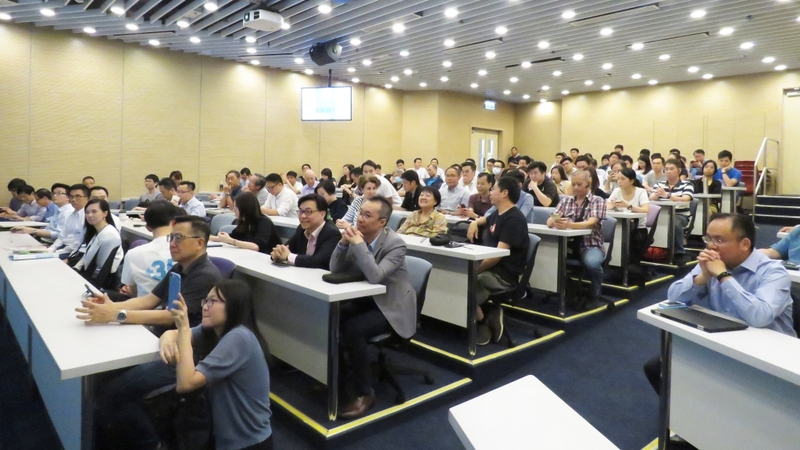 Full house attendance was recorded for this forum held in HKU, with over 150 participants coming from various sectors. Representatives from the organisers and supporting organisations took a group photo with the expert speakers. 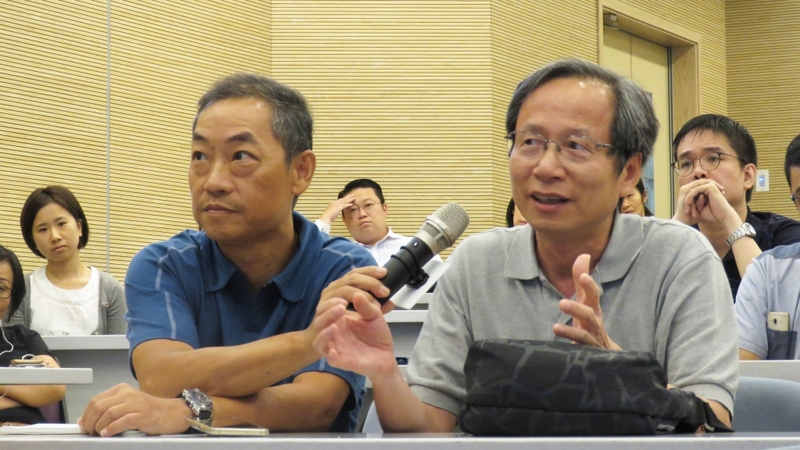 The penal discussion was moderated by Prof Dennis Leung of the Department of Mechanical Engineering, HKU, and joined by all speakers and representatives of the supporting organisations. 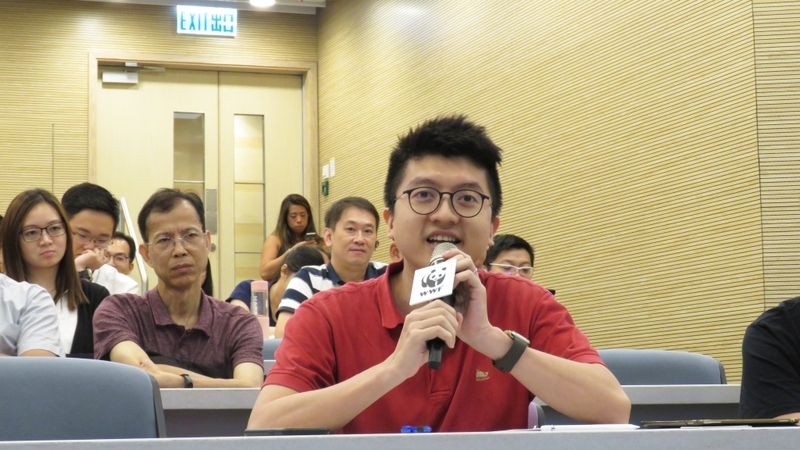 Mr Chong Chan Yau, co-founder of CarbonCare InnoLab, raised his comments during the panel discussion. 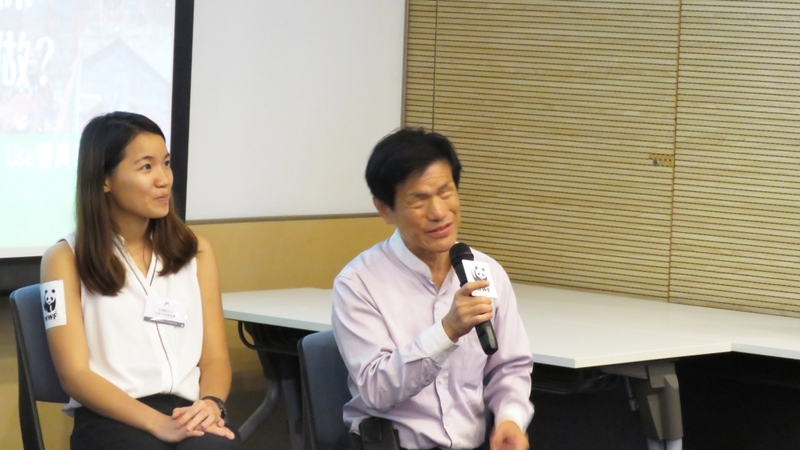 Mr Ringo Mak from 350HK, one of the Forum's supporting organisations, spoke at the panel discussion. The Q&A session provided a good occasion for participants of all sectors to air their views. Forum participants were keen to put forward their questions. Ms Karen Ho, Head of Corporate & Community Sustainability, WWF-HK, gave a closing remark to the forum.